In this video, Andrew (RMT) demonstrates using Sound Assisted Soft Tissue Mobilization(SASTM) – using the tools invented by David Graston! 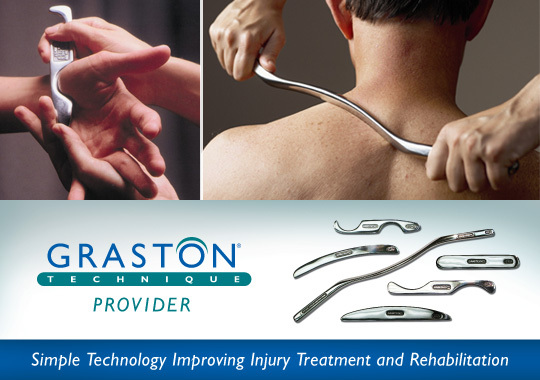 Did you know that Back to Health has a practitioner certified in the Graston Technique? Read below to find out more or email reception@back2health4you.com to book an appointment today!